"Steffi has been a selective mute for most of her life - she's been silent for so long that she feels completely invisible. But Rhys, the new boy at school, sees her. He's deaf, and her knowledge of basic sign language means she's assigned to look after him. To Rhys, it doesn't matter that Steffi doesn't talk, and as they find ways to communicate, Steffi finds that she does have a voice, and that she's falling in love with the one person who makes her feel brave enough to use it"
Usually, I don't tend to reach for a YA romance novel anymore. If I'm going to read YA then I much prefer diving into a fantasy as I personally find them much more engaging and exciting to read. 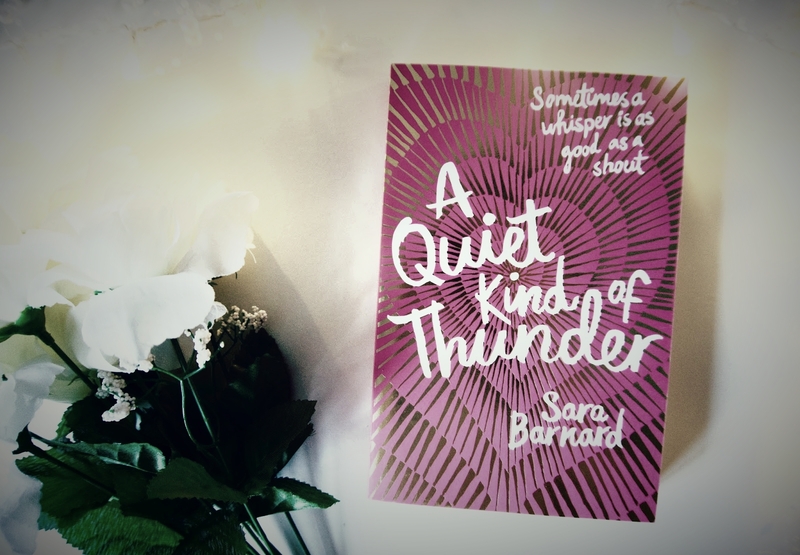 Back in 2017 however, myself and a few of my friends were involved in a book club that introduced me to the author Sara Barnard, and subsequently her novel A Quiet Kind Of Thunder. I went into this novel with no expectations and I ended up loving it. 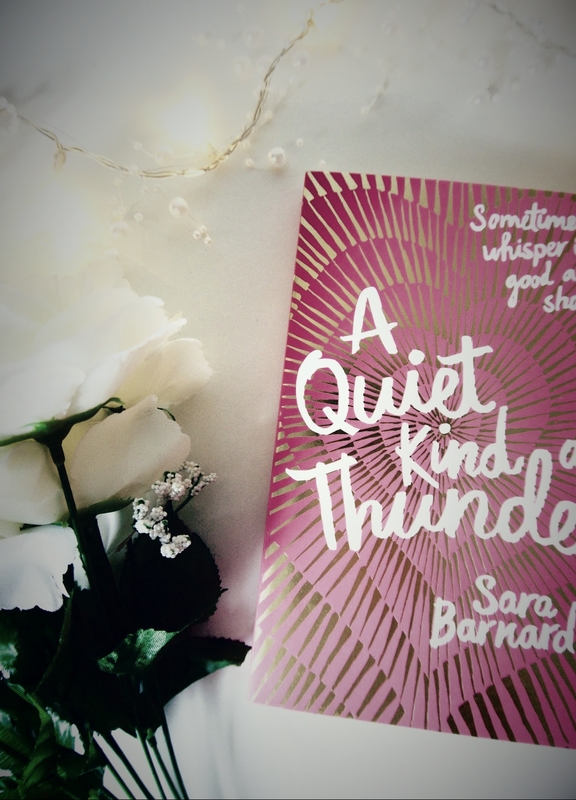 It's one of the loveliest YA romances I've ever read, with minimal cheesy moments - and even the few that do occur made me 'aw' in response due to how well the characters and the romance were developed throughout the book. One of my favourite things about this book thought has to be learning about British Sign Language. Aside from the guides it has printed at the beginning and the end, reading from the perspective of two people who communicate solely via sign language and lip/facial reading was incredibly insightful and thoughtfully done. The novel also deals with anxiety and the fear of talking to strangers/being in social situations, and I think the way the book represented the reactions of Steffi's family and friends in regards to her anxiety was incredible well executed and included not only supportive parents, but also dealt with those that empathise but can't fully understand anxiety in its entirety. It has the perfect balance of humour and emotion, and I found myself laughing out loud on numerous occasions and holding back the tears on others. If you're looking for a charming YA romance that has a lot of substance to it, and allows you to empathise with the characters and see how someone in their position/of their age might feel and think, then definitely pick this up. It's a beautiful, beautiful novel and I highly recommend! I am most definitely going to have to add this to my read list, I have been on the hunt for a new book! I totally agree- I prefer fantasy over romance. Still, YA romance novels always make for an easy and fun read. I'll have to read this one!